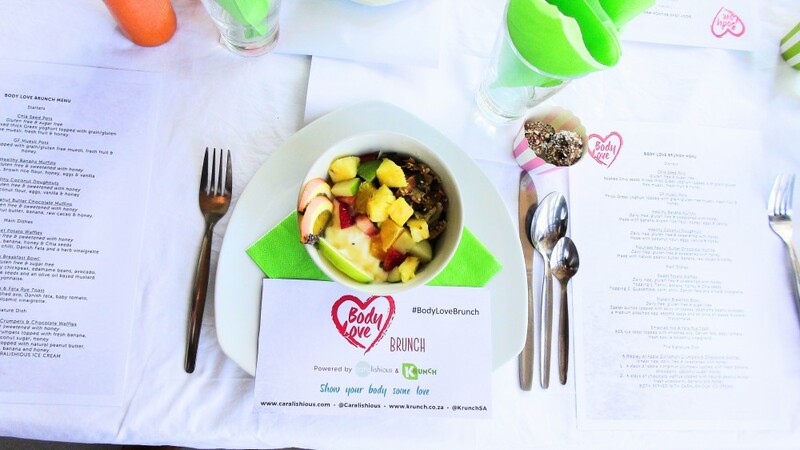 This past weekend we hosted our very first Body Love Brunch in collaboration with Krunch SA, and what a fantastic success it was! 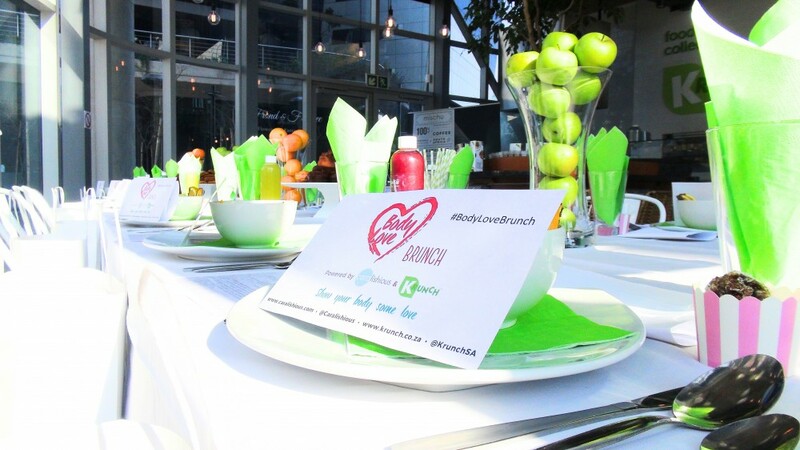 We really wanted to bring something fresh and fun to Joburg…with a little health flare mixed in there of course. 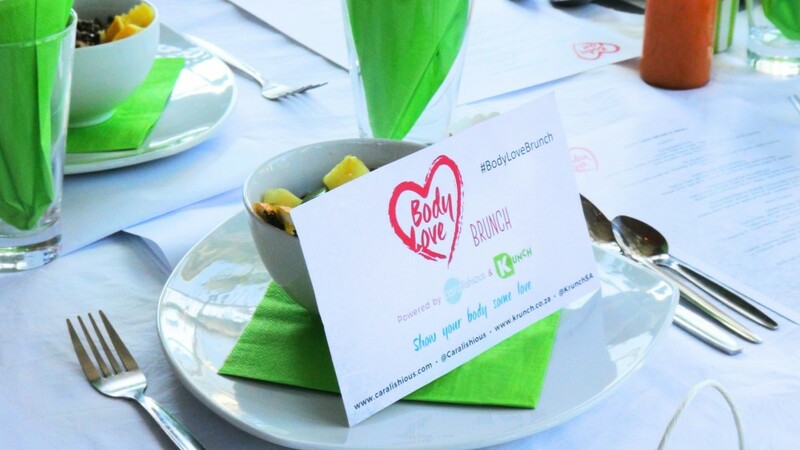 And so Body Love brunch was born: An event aimed at bringing together like-minded individuals looking to improve their health, wellbeing and vitality, by giving them a beautiful space to share their own health journey, aspirations, experiences, and advice with others, and likewise to learn from those they meet. And what better way to do so, then over a nourishing and delicious spread of super healthy food. 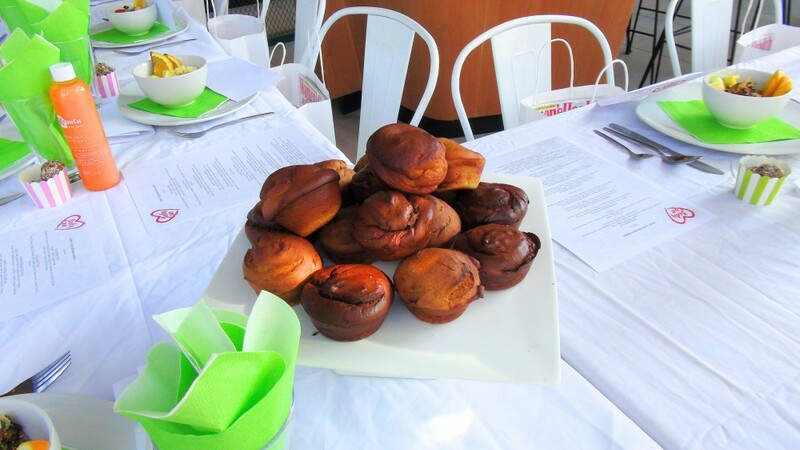 And we didn’t just provide any food (as I’m sure our guest can vouch for hehe), we went ALL out – taking traditionally unhealthy treats, and transforming them into scrumptious healthful delights! 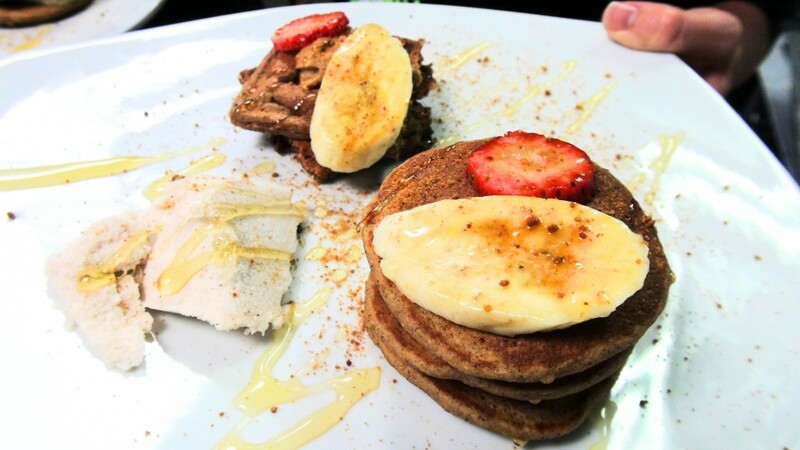 Think protein date and coconut bites, oven baked homemade crisps, sweet potato waffles, chia pudding, freshly pressed juices, coconut doughnuts, peanut butter muffins, and grain free crumpets topped with vegan ice-cream!! 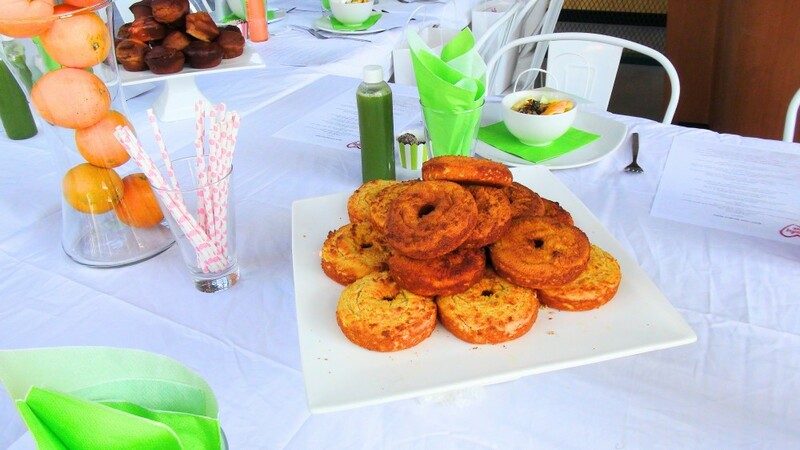 We stuck to the general theme of no preservatives, sugar-free, low carb, low GI meals to ensure our special guests felt satisfied and energized post brunch. And of course we had plenty of vegan and dairy free alternatives available too! Because we need to learn how to love the skin we're in! No amount of healthy eating, and exercise can ever undo an unhealthy relationship with your body. Our efforts at health cannot and will not be effective if they come from a place of anger, self-loathing or self-punishment. So many of us beat ourselves up or hate on our bodies because we aren’t tall enough, of thin enough or pretty enough. And that has to STOP! Our bodies hear everything we think and say, so it has to start with self-love! Our message to you: Love your body and it will love you back! Special guests included Next Fit star 2016 winner Mapule Ndlovu (most of you will know her as @queenfitnass) alongside representatives from Fitness magazine South Africa, Lorna Jane South Africa and Hello Joburg Magazine! 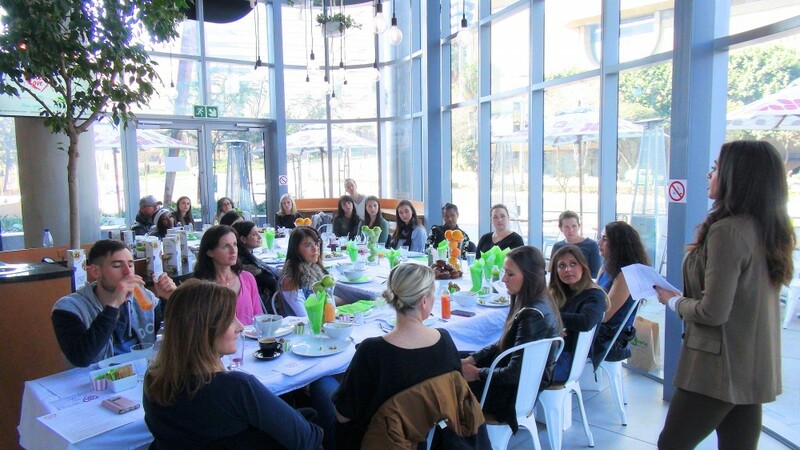 – such an honour to have such renowned people join us for a healthy, happy, body loving brunch. 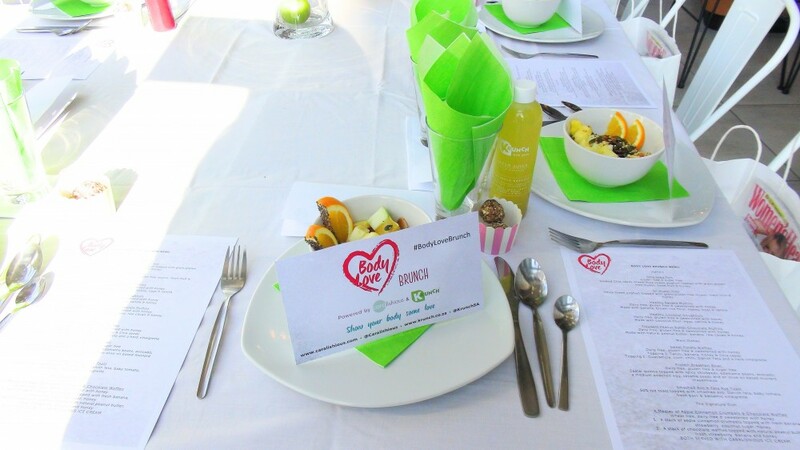 Our Body Love Event took place at the super chic and trendy krunch Alice lane on a very warm and sunny Winter Sunday. 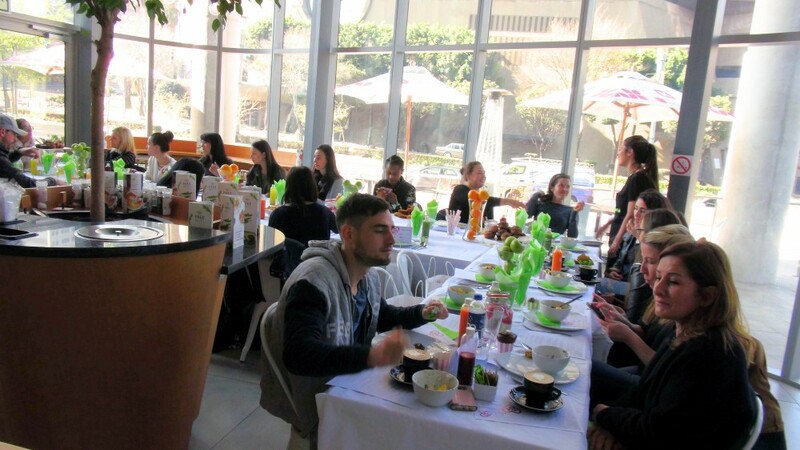 The day commenced with our guests arriving at 10am, welcomed by myself, Cara-Lisa (founder of @caralishious blog and health foods) Kim, Tali and Daniel (owners of Krunch). Guests were seated at an intimate table, bright and colourfully decorated with fresh fruit, welcome notes, a formal intro by all the hosts, and of course an uber delicious spread of muffins, gluten free muesli and yoghurt pots, protein date-coconut balls, and chia pudding pots. We may have overdid it on the quantity of food a bit…we were so over eager to impress our guests with AMAAAZING food, so we decided to give them a little bit of time to digest before the mains came out. 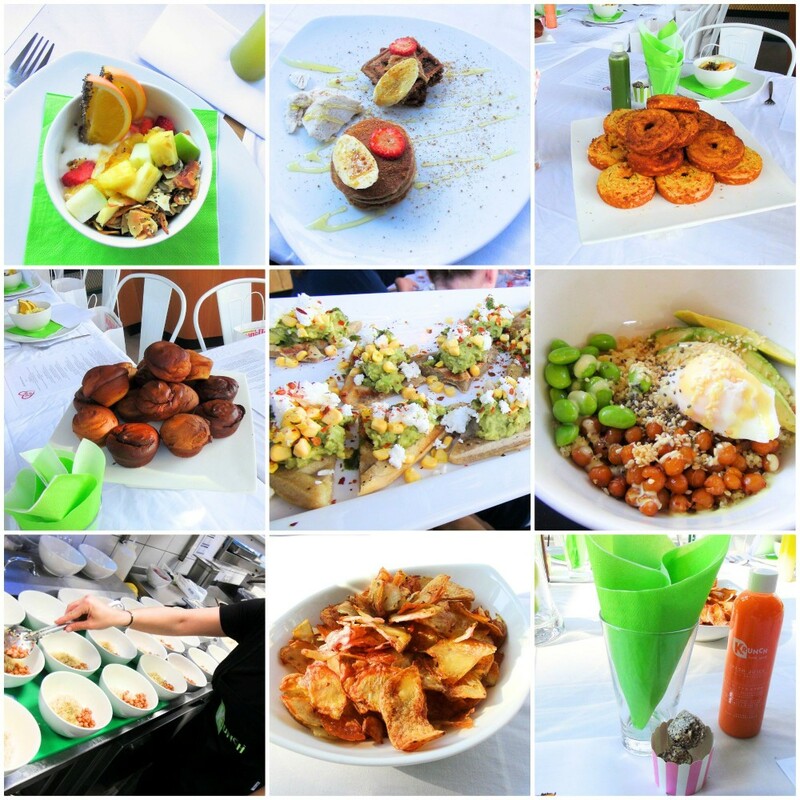 Our main dishes included a zaatar spiced quinoa protein bowl, topped with endamame chickpeas, poached egg, avo and lemon mayo, along with smashed avo on rye toast. While enjoying their warming mains, I began my talk, where I shared my personal health journey, how I overcame eating disorders as a teenager, and what I have learned to be the essential components of health…from reading ingredients labels, eating whole foods, ditching the diet mentality, and building a positive relationship with food, to embracing the body I have, learning to love my body, cultivating a positive mental environment, exercising in a way that I love, taking responsibility for our own health, and most importantly looking a health health from a holistic perspective. I truly love sharing the knowledge I have gained over the years – above all my goal is to spread the health message, provide people with easier access to information, healthy food and healthy ways to live, and to help more and more of you to embrace, sustain and enjoy the long term benefits of a healthy lifestyle. Health and wellness is my absolute passion – I pour my heart an soul into each and every single event, recipe, blog post, and food product I create because I know just how important good health is – for each and every one of us! Ok back to the food – after my talk, we surprised our guests with sweet potato waffles, a savoury version topped with smashed avo, feta, corn and chilli flakes, and a sweet version topped with tahini, sliced strawberries, banana and raw honey. And finally the signature dish: a baby stack of apple and cinnamon crumpets topped with banana, strawberries, coconut sugar and raw honey, and a stack of mini chocolate waffles topped with peanut butter, sliced banana, strawberries and honey, all served with a scoop of my very own Caralishious vegan vanilla-cinnamon Ice-cream. Plates were pretty much licked clean on this one so we think guests enjoyed this one in a big way! Smiles all round! 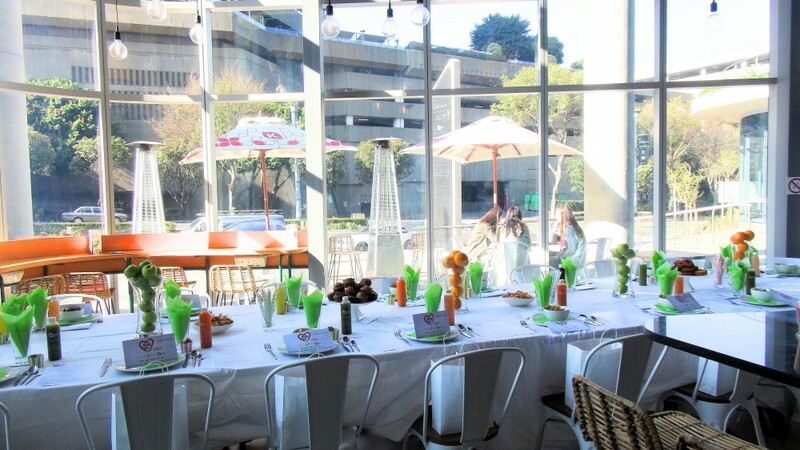 What a wonderful brunch it was, and I absolutely loved working with the AMAZING Krunch team! What I love so much the founders, is that they really care! They care about the ingredients they use, and they want to offer people good quality, fresh, good food…that is nourishing, consciously prepared and damn good for you! I love that they use gluten free flours, spices free from MSG, free range eggs and dairy free milk. They really do cater to everyone which is also such a plus! Finally, a restaurant that gets it! Next we announced our giveaway winners! Earlier in the day we asked our guests to come up with creative images and to tag us on social media, so that we could see what fantastical ideas they came up with. Naturally, the most creative pics would win our awesome giveaways! 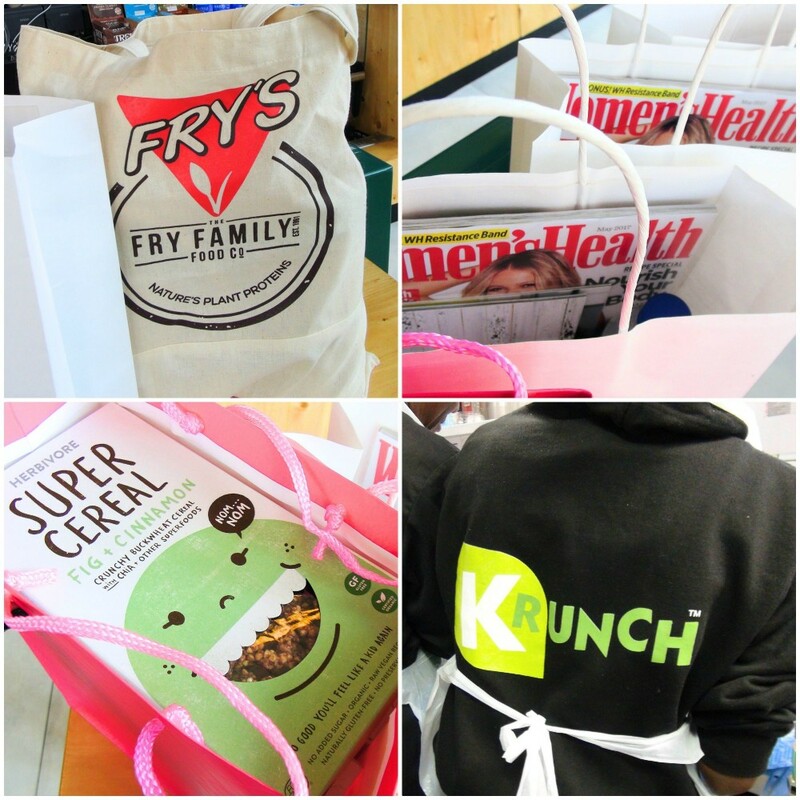 There were some serious contenders but our most creative were Laurenzi Barrezi, Roxy Yasbek and Bibi Kwanda who each enjoyed a Frys Kasha protein Cereal giveaway, a one day juice cleanse from Krunch and Gluten Free Cereal Packs from Herbivore! At around 1pm, guests made their way home. 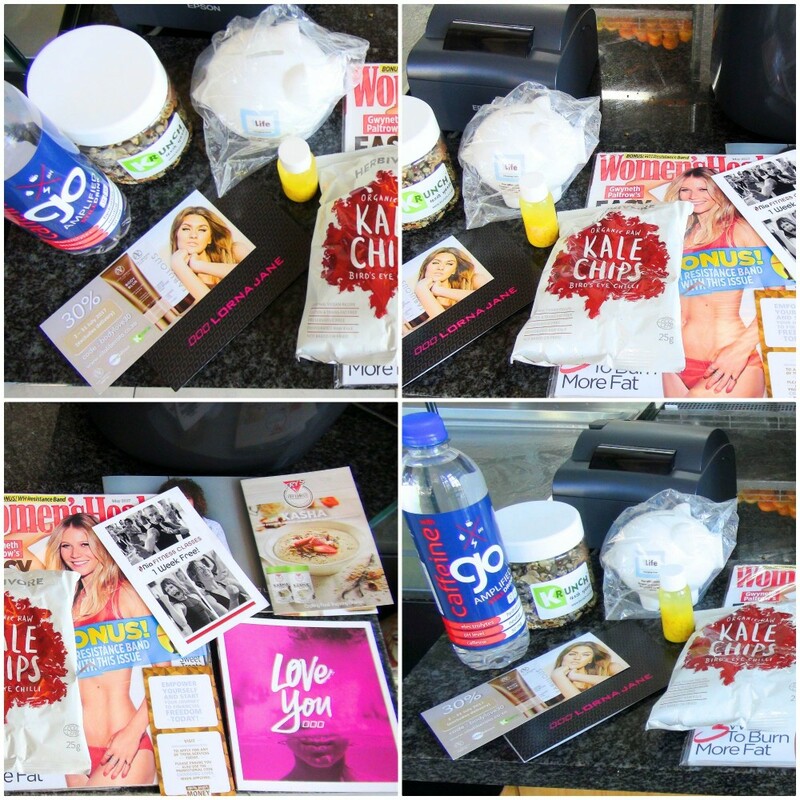 We said our goodbyes and sent them off with an amazing gift bag, filled with awesome goodies from our amazing sponsors, including Kasha cereal and recipe books from Frys family foods, Caffeinated water from Go Water, Krunch muesli, Vouchers from Lorna Jane, Vita Liberata, and 1 Life Insurance, Womens Health Magazine, Herbivore kale crisps, and 1 week free Nia classes at Nia Kairos Johannesburg. A huge shout out and thank you to all our fabulous sponsors! Your goodies were so well received by all! 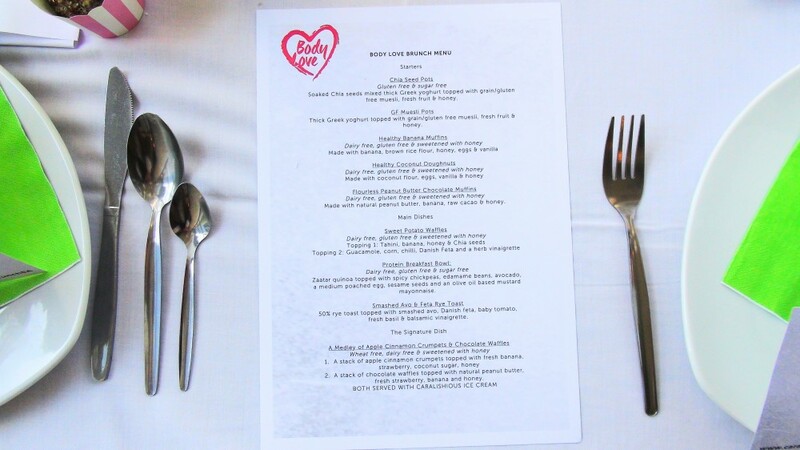 We are looking so forward to hosting many more Body Love events, with special guest speakers, new exciting dishes and perhaps even some yoga…who knows (*wink wink). Tune into the Caralishious and Krunch facebook pages to keep up to date with the release of our next event dates ! Hope to connect with many more of you!